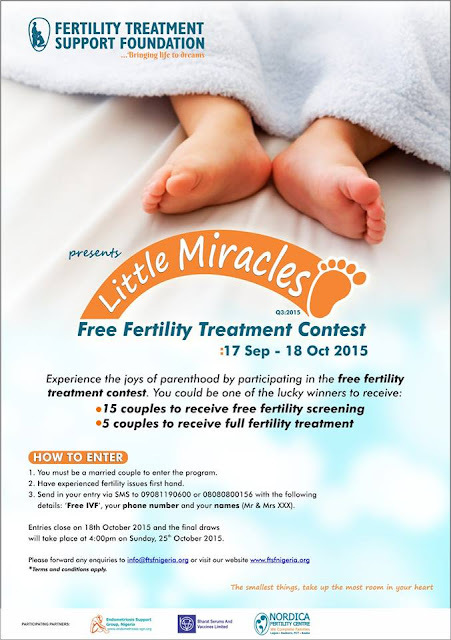 NORDICA "LITTLE MIRACLES FREE FERTILITY CONTEST"
Experience the joys of Parenthood by participating in Nordica Fertility Center FREE FERTILITY TREATMENT CONTEST. You could be one of the lucky winners to win. 5 Couples to receive full fertility treatment. The Final draws will take place at 4:00pm on Sunday 25th October, 2015. Entries closes on 18th October 2015.